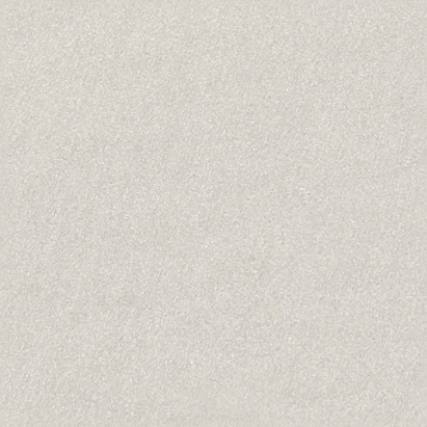 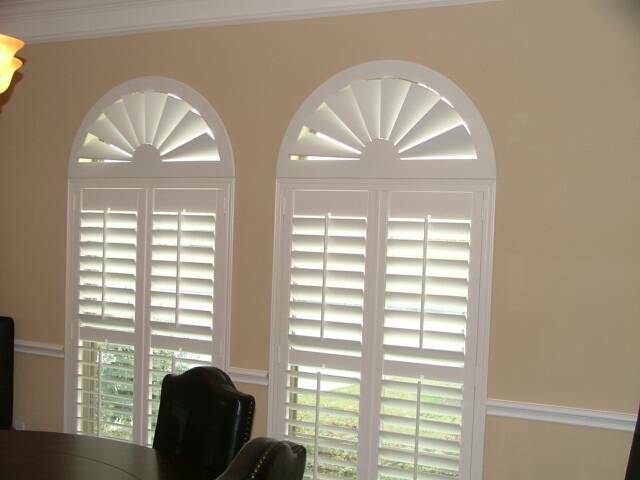 100% energy efficient, a great treatment to darken any room. 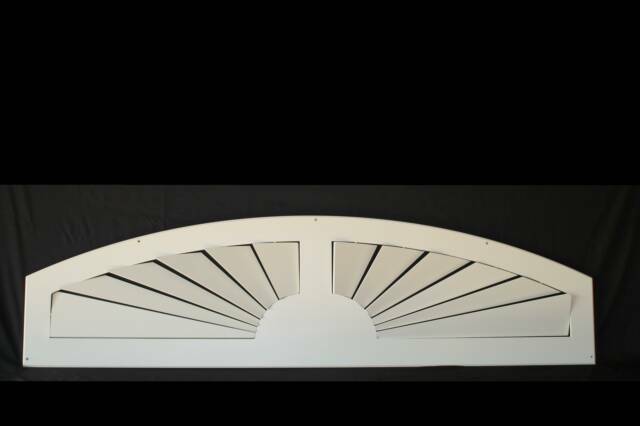 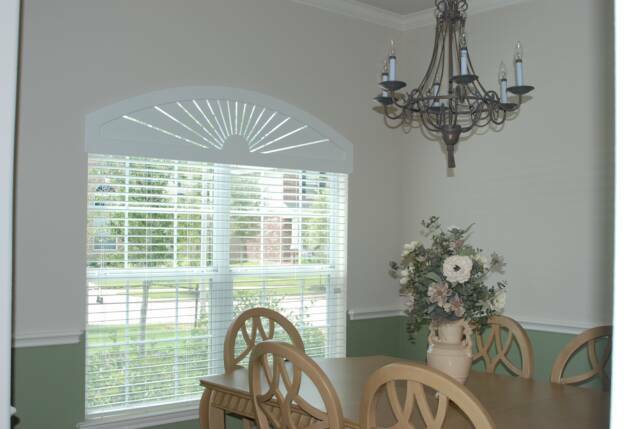 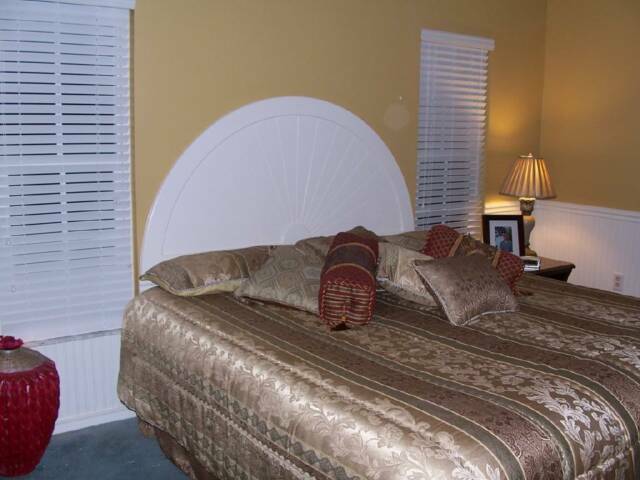 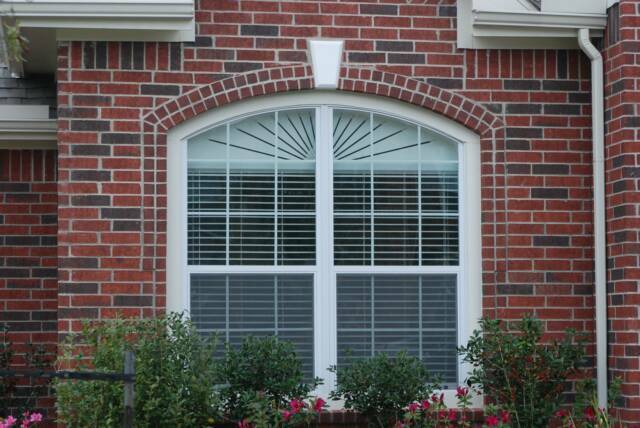 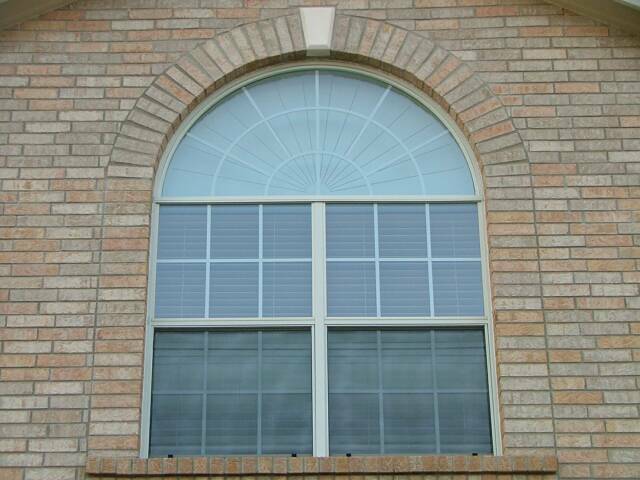 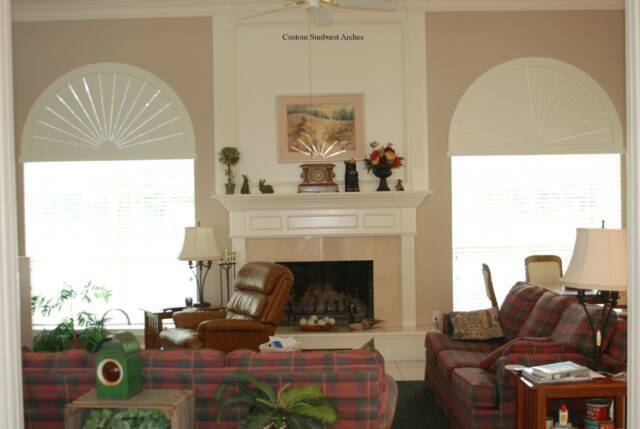 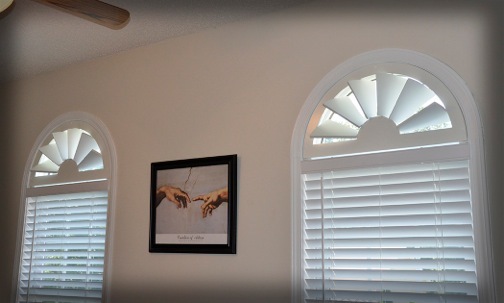 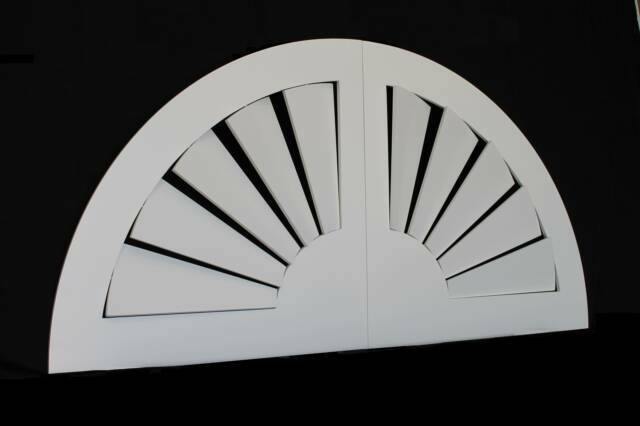 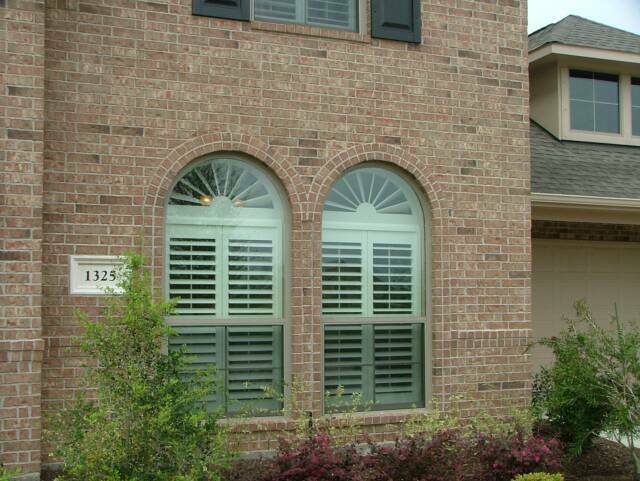 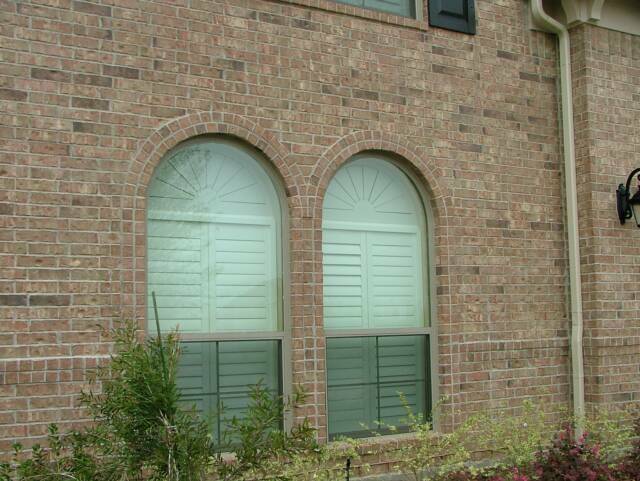 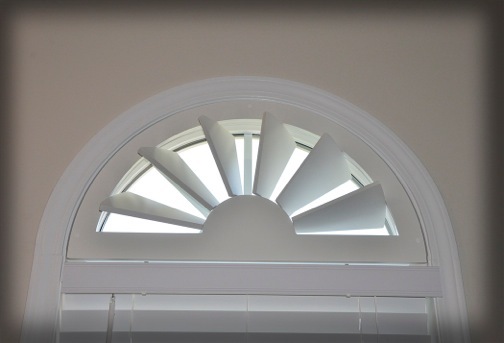 Place over any window or door to have today's Arched window look! 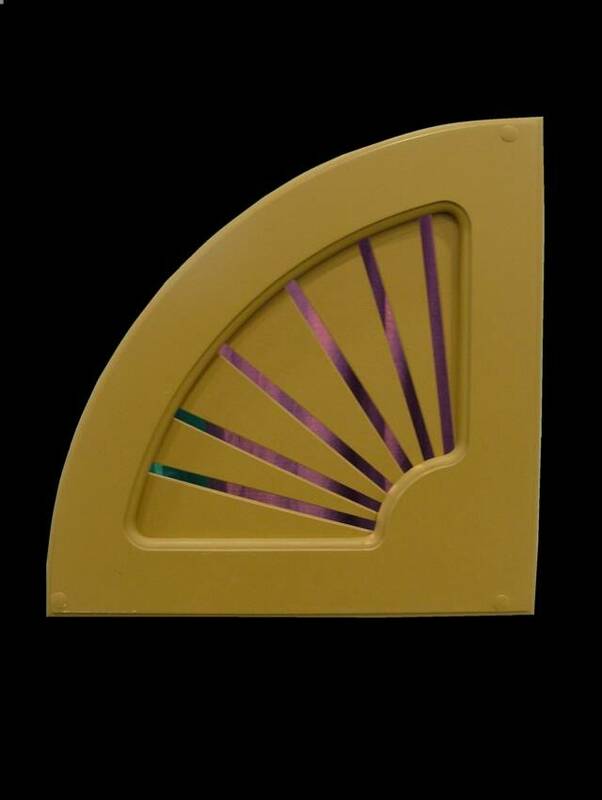 Some louvers may not open all the way due to the severe curve of the eyebrow. 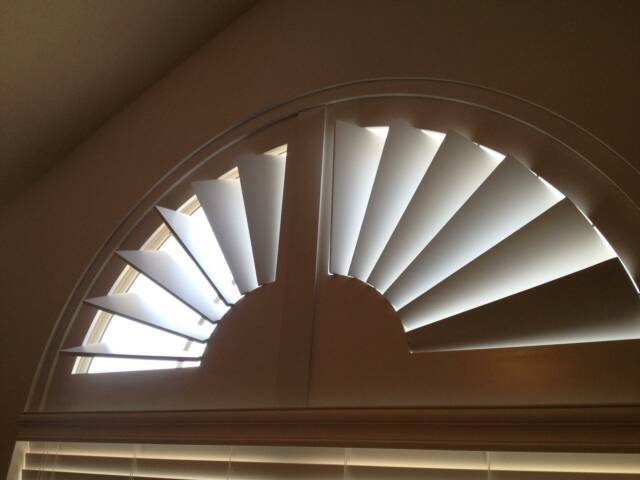 Louvers are limited , so be careful when adjusting!